If your Honor Guard Unit is not listed here and you would like it to be, please go to the Honor Guard Information Form page and fill out the form and submit it. The only information that will be published on this web-site will be your unit name and an e-mail link. 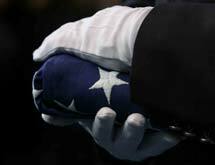 All of the other information on the form will be used for a National Honor Guard Data Base. This information will be used by the NHGCA to provide other Honor Guards and fire service organizations with contact information for funerals or assistance in forming and training other Honor Guards. To find an Honor Guard in a particular state, just click on that state. Units that are underlined have an attached e-mail link. If you would like to contact a unit, just click on it. If your unit is listed here and there is no e-mail link, but you would like to have one added, then contact the web master.